Unforeseen losses can arise at any time, whether you're prepared for them or not. Your loss claim is an obligation we assumed when we issued your insurance policy. The staff at Grayson Carroll Wythe Mutual Insurance is available to help you in your time of need. Our claims department will try its best to serve you and get your life back on track in a timely manner. Once the claim is reported to us it will be serviced by one of our personnel. Prompt and efficient handling of your claim is something we take pride in. When a loss occurs, there are some things you must do in order prevent any further damage and to ensure prompt, efficient handling of the claim. If you have a loss - no matter how small - it can be a traumatic experience. The people here at Grayson-Carroll-Wythe Mutual Insurance Company want to reduce your exposure to this trauma to make it less stressful for you. We hope the following information will do just that. In case of roof damage - tarp the roof to avoid water or other damage to the inside. If at all possible during the winter, maintain heat in the building to avoid additional frozen pipes or plumbing damages. If impossible to maintain heat, put anti-freeze into all plumbing fixtures and if necessary, contact a plumber to winterize the plumbing. You must Give the Company an opportunity to see the damage. If you must make extensive, immediate repairs, take photos of the damage before the repair work begins. Complete an inventory of your personal property - list all damaged property room by room. If there is additional information you feel we should have, please let us know. If you have a claim, please contact your agent or our office as soon as possible. Call our regular or toll-free line and let us know about the loss. Give as many details as you know about the loss. If your claim occurs after office hours or on a holiday, please submit your information on the form below or call our office as soon as possible and leave a message with a number where you may be contacted and one of our staff will be in touch with you soon. Upon recording your claim, we will get back to you with further instructions. We will schedule a time we can inspect the damage or we will request you get an estimate from a reputable contractor/repair facility. If we request you get an estimate, obtain a detailed repair estimate from a contractor that you will be using to do final repairs or who may be fixing a computer or damaged appliance. Send estimates and repair bills directly to our office at Grayson-Carroll-Wythe Mutual Insurance Company; P.O.Box 1070, Galax, VA 24333. If you are not satisfied with your claim adjustment please let us know. 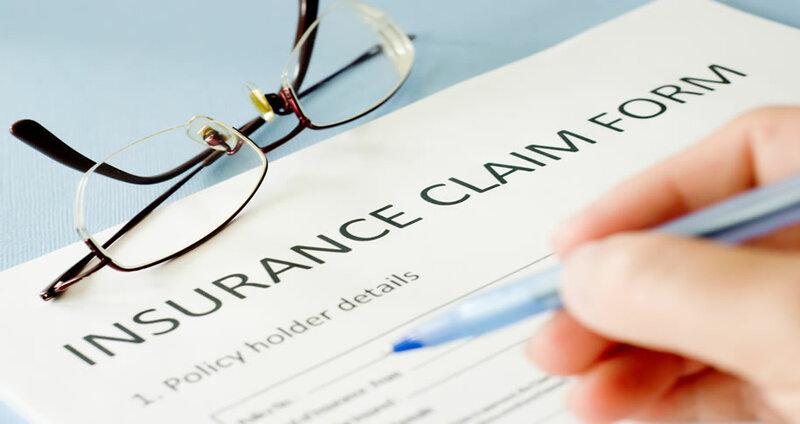 We will review your claim to see if something has been missed according to the terms of your policy.